GRUB is a widely used boot-loader for booting Linux-based systems. It lets you choose the OS you want to boot from the list of all operating systems currently installed on your system. Usually for dual-booting Windows with Ubuntu or any other Linux based OS we install the Windows OS first and then install the Linux OS. But in case if you install Windows over the existing Linux OS then you will not be able to boot inside your Linux OS as Windows boot-loader does not support Linux systems. 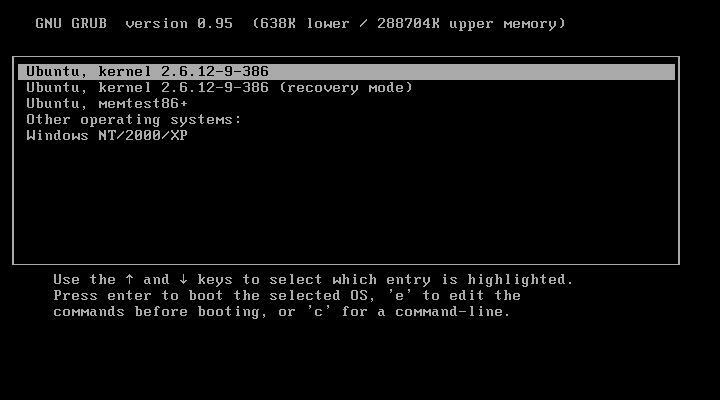 So to get back your original GRUB boot-loader you will have to make changes in your Master Boot Record. To do so you will require a live CD to boot Linux. After booting from the live CD run terminal and execute following commands. This will show you the location of drive on the hard disk where GRUB loader is stored. In place of hd (0, 0) type the output you got with the previous command. Now restart your system and you will be able to see your GRUB loader again.